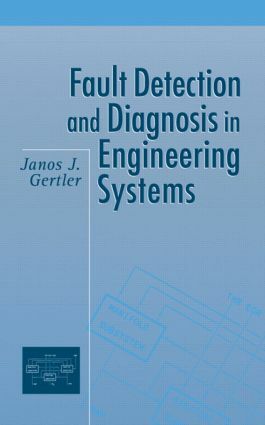 Featuring a model-based approach to fault detection and diagnosis in engineering systems, this book contains up-to-date, practical information on preventing product deterioration, performance degradation and major machinery damage. ;College or university bookstores may order five or more copies at a special student price. Price is available upon request. ". . .This book is devoted to the model-based approach, focusing on dynamic consistency (parity) relations and parameter estimation. The work is partly based on the author's own research contributions and provides a unified treatment of the subject, revealing the equivalence of seemingly different approaches (parity relations vs parameter estimation). The book makes a significant contribution to the FDD literature. " Introduction to fault detection and diagnosis; discrete linear systems; random variables; parameter estimation fundamentals; analytical redundancy concepts; parity equation implementation of residual generators; design for structured residuals; design for directional residuals; residual generation for parametric faults; robustness in residual generation; statistical testing of residuals; model identification for the diagnosis of additive faults; diagnosing multiplicative faults by parameter estimation.